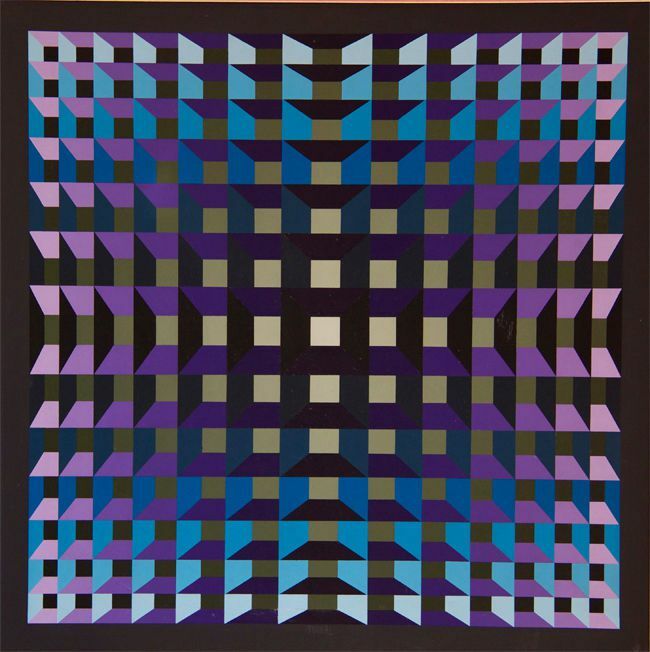 Jean-Pierre Vasarely called himself Yvaral to distinguish him from his superstar father, Victor Vasarely, the grandfather of op-art. Yvaral was born in Paris in 1934, a time of great political upheaval and uncertainty in Europe. Paris was one of the few countries where artists were allowed to work without fear of government persecution. Many artists, like Salvador Dali, Picasso and Man Ray took refuge in the salons of Paris. 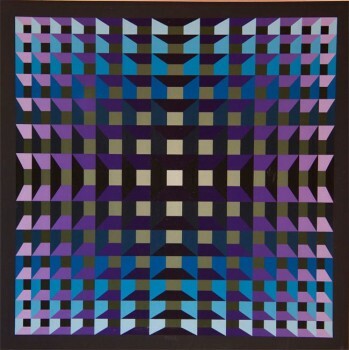 Victor Vasarely left his home in Hungary for Paris, to pursue his fascination with kinetic art. The influence of father on son is apparent, although Yvaral was able to take his own art to new levels during the post-war era of the 1950s and ‘60s, when artists in Europe were feeling a great sense of liberation. After studying graphic art and publicity at the Ecole des Arts Appliqu (School of Applied Arts) in Paris, Yvaral began his own experiments with geometric, kinetic design in the mid to late ‘50s. 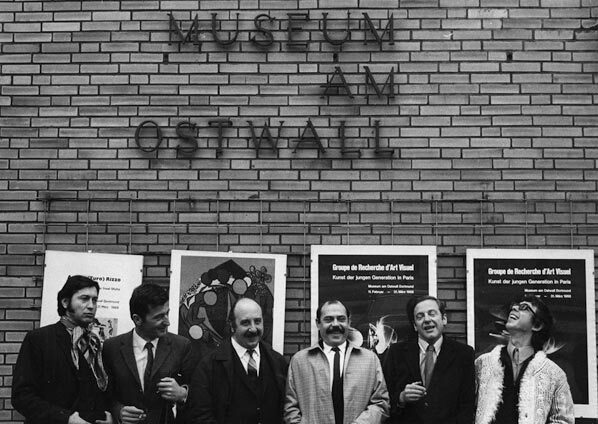 Like his father, Yvaral wanted art to be accessible to the public, not just in museums and galleries, but in more communal locations. The artists wanted to work more as a cooperative than as individual entities. 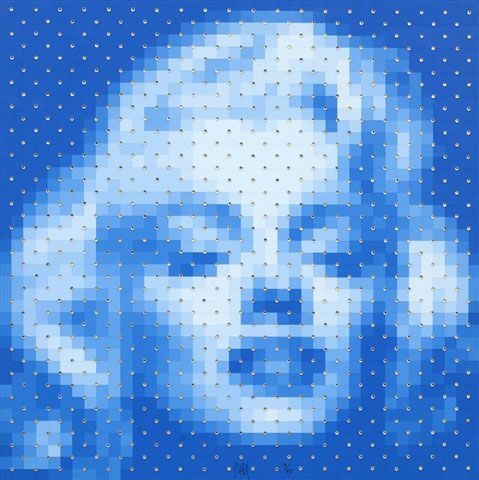 To that end, Yvaral founded Le Group de Recherche d’Art Visuel (GRAV), along with Francois Morellet, Julio Le Parc and other artists. 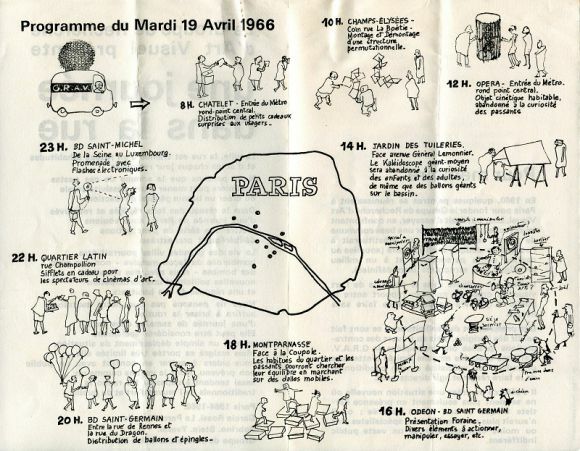 The group staged an event in 1966, called Une journee dans la rue (One day on the street), during which they set up exhibits that they called Labyrinths, in which spectators could take part. GAV remained in existence from 1960 to 1968. 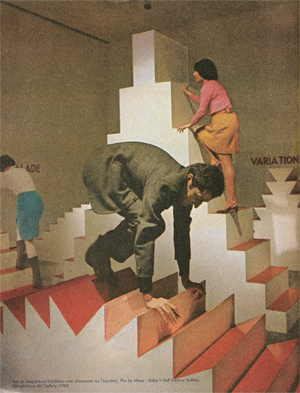 During that time, Yvaral continued to experiment with his own kinetic art. He held his first solo exhibition at the Howard Wise Gallery in New York. 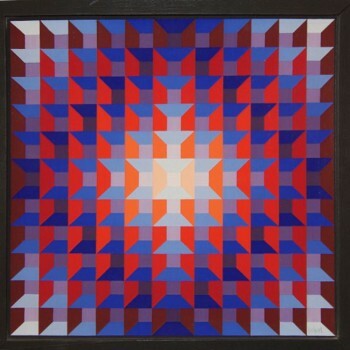 He began to simplify his work with elements of geometric design and vivid hues. We have two of his most visually powerful works for sale at Vertu. Both created in 1970, Structure Ambique Quadri and Structure Ambique Quadri-Progression are wonderful examples of the strength of Yvaral’s kinetic design and rich color. Yvaral embraced the use of computers in the mid 1970s, creating digital portraits of easily recognizable faces, like Abraham Lincoln and JFK. 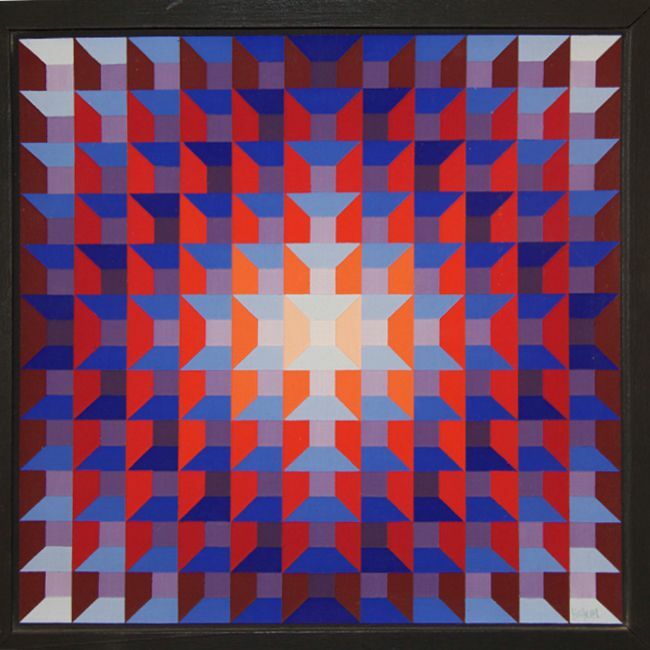 To see the work of father and son, Jean-Pierre Yvaral and Victor Vasarely, on the same walls, we welcome you to visit us at Vertu.